Summary: A new study reveals a diverse array of genetic changes that occur in the brain following sensory experiences. “Nature and nurture is a convenient jingle of words, for it separates under two distinct heads the innumerable elements of which personality is composed. Nature is all that a man brings with himself into the world; nurture is every influence from without that affects him after his birth.” – Francis Galton, cousin of Charles Darwin, 1874. Is it nature or nurture that ultimately shapes a human? Are actions and behaviors a result of genes or environment? Variations of these questions have been explored by countless philosophers and scientists across millennia. Yet, as biologists continue to better understand the mechanisms that underlie brain function, it is increasingly apparent that this long-debated dichotomy may be no dichotomy at all. In a study published in Nature Neuroscience on Jan. 21, neuroscientists and systems biologists from Harvard Medical School reveal just how inexorably interwoven nature and nurture are in the mouse brain. Using novel technologies developed at HMS, the team looked at how a single sensory experience affects gene expression in the brain by analyzing more than 114,000 individual cells in the mouse visual cortex before and after exposure to light. Their findings revealed a dramatic and diverse landscape of gene expression changes across all cell types, involving 611 different genes, many linked to neural connectivity and the brain’s ability to rewire itself to learn and adapt. The results offer insights into how bursts of neuronal activity that last only milliseconds trigger lasting changes in the brain, and open new fields of exploration for efforts to understand how the brain works. “What we found is, in a sense, amazing. 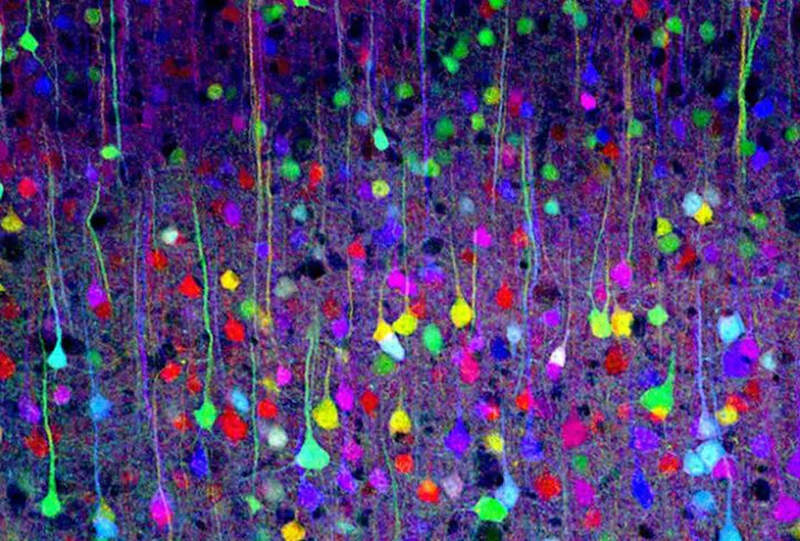 In response to visual stimulation, virtually every cell in the visual cortex is responding in a different way,” said co-senior author Michael Greenberg, the Nathan Marsh Pusey Professor of Neurobiology and chair of the Department of Neurobiology at HMS. “This in essence addresses the long-asked question about nature and nurture: Is it genes or environment? It’s both, and this is how they come together,” he said. Neuroscientists have known that stimuli–sensory experiences such as touch or sound, metabolic changes, injury and other environmental experiences–can trigger the activation of genetic programs within the brain. Composed of a vast array of different cells, the brain depends on a complex orchestra of cellular functions to carry out its tasks. Scientists have long sought to understand how individual cells respond to various stimuli. However, due to technological limitations, previous genetic studies largely focused on mixed populations of cells, obscuring critical nuances in cellular behavior. To build a more comprehensive picture, Greenberg teamed with co-corresponding author Bernardo Sabatini, the Alice and Rodman W. Moorhead III Professor of Neurobiology at HMS, and Allon Klein, assistant professor of systems biology at HMS. Spearheaded by co-lead authors Sinisa Hrvatin, a postdoctoral fellow in the Greenberg lab, Daniel Hochbaum, a postdoctoral fellow in the Sabatini lab and M. Aurel Nagy, an MD-PhD student in the Greenberg lab, the researchers first housed mice in complete darkness to quiet the visual cortex, the area of the brain that controls vision. They then exposed the mice to light and studied how it affected genes within the brain. Using technology developed by the Klein lab known as inDrops, they tracked which genes got turned on or off in tens of thousands of individual cells before and after light exposure. The team found significant changes in gene expression after light exposure in all cell types in the visual cortex–both neurons and, unexpectedly, nonneuronal cells such as astrocytes, macrophages and muscle cells that line blood vessels in the brain. Roughly 50 to 70 percent of excitatory neurons, for example, exhibited changes regardless of their location or function. Remarkably, the authors said, a large proportion of non-neuronal cells–almost half of all astrocytes, for example–also exhibited changes. The team identified thousands of genes with altered expression patterns after light exposure, and 611 genes that had at least two-fold increases or decreases. Many of these genes have been previously linked to structural remodeling in the brain, suggesting that virtually the entire visual cortex, including the vasculature and muscle cell types, may undergo genetically controlled rewiring in response to a sensory experience. There has been some controversy among neuroscientists over whether gene expression could functionally control plasticity or connectivity between neurons. “I think our study strongly suggests that this is the case, and that each cell has a unique genetic program that’s tailored to the function of a given cell within a neural circuit,” Greenberg said. These findings open a wide range of avenues for further study, the authors said. For example, how genetic programs affect the function of specific cell types, how they vary early or later in life and how dysfunction in these programs might contribute to disease, all of which could help scientists learn more about the fundamental workings of the brain. “Experience and environmental stimuli appear to almost constantly affect gene expression and function throughout the brain. This may help us to understand how processes such as learning and memory formation, which require long-term changes in the brain, arise from the short bursts of electrical activity through which neurons signal to each other,” Greenberg said. One especially interesting area of inquiry, according to Greenberg, includes the regulatory elements that control the expression of genes in response to sensory experience. In a paper published earlier this year in Molecular Cell, he and his team explored the activity of the FOS/JUN protein complex, which is expressed across many different cell types in the brain but appears to regulate unique programs in each different cell type. Identifying the regulatory elements that control gene expression is critical because they may account for differences in brain function from one human to another, and may also underlie disorders such as autism, schizophrenia and bipolar disease, the researchers said. Additional authors on the study include Marcelo Cicconet, Keiramarie Robertson, Lucas Cheadle, Rapolas Zilionis, Alex Ratner and Rebeca Borges-Monroy. Funding: This work was supported by the National Institutes of Health (R01NS028829, R01NS046579, T32GM007753, R33CA212697, 5T32AG000222-23), F. Hoffmann-La Roche Ltd., the William F. Milton Fund, a Burroughs Wellcome Fund Career Award and an Edward J. Mallinckrodt Scholarship. Image Source: NeuroscienceNews.com image is credited to Lichtman Lab, Harvard University. Original Research: Abstract in Nature Neuroscience. Harvard “Nature, Meet Nurture.” NeuroscienceNews. NeuroscienceNews, 8 February 2018. Activity-dependent transcriptional responses shape cortical function. However, a comprehensive understanding of the diversity of these responses across the full range of cortical cell types, and how these changes contribute to neuronal plasticity and disease, is lacking. To investigate the breadth of transcriptional changes that occur across cell types in the mouse visual cortex after exposure to light, we applied high-throughput single-cell RNA sequencing. We identified significant and divergent transcriptional responses to stimulation in each of the 30 cell types characterized, thus revealing 611 stimulus-responsive genes. Excitatory pyramidal neurons exhibited inter- and intralaminar heterogeneity in the induction of stimulus-responsive genes. Non-neuronal cells showed clear transcriptional responses that may regulate experience-dependent changes in neurovascular coupling and myelination. Together, these results reveal the dynamic landscape of the stimulus-dependent transcriptional changes occurring across cell types in the visual cortex; these changes are probably critical for cortical function and may be sites of deregulation in developmental brain disorders. I massaged my babies after birth before each bath and even up to now when they are sick. I train all caregivers to massage home-bound older adults or seniors needing 24/7 care.